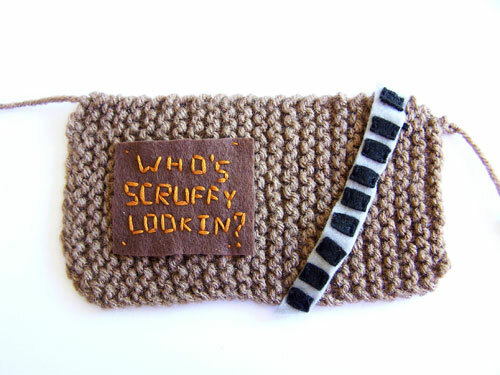 Love Star Wars and feeling crafty? 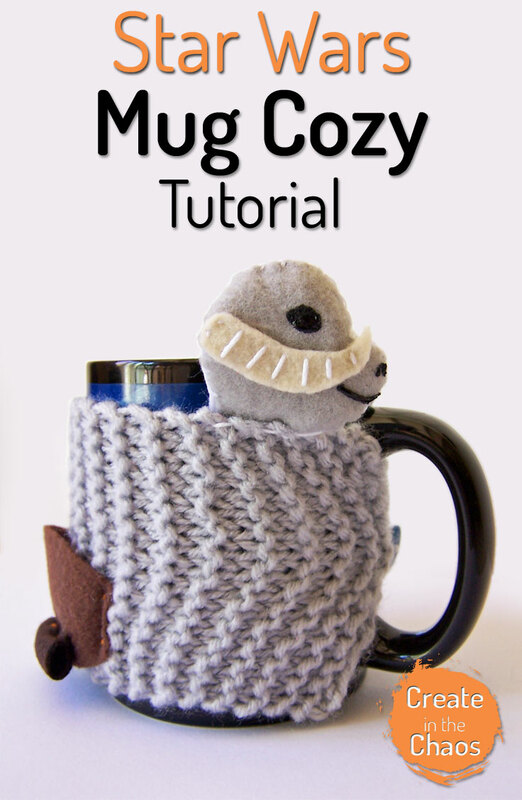 Then here’s a tutorial for a couple mug cozies. 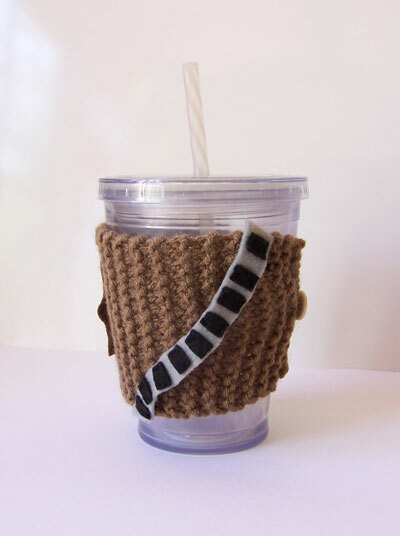 Here is an awesome craft to get you ready for May the 4th – a tutorial for Star Wars knit mug cozies. 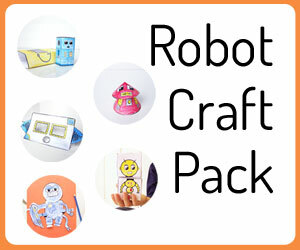 These are super simple to make and a fun way to show off your geeky side (or make for a geeky friend). Let’s get started! The patterns are super simple. 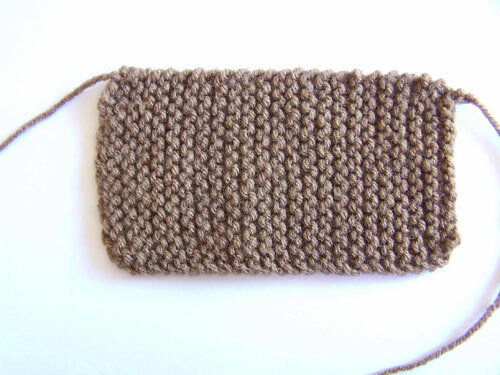 I only recently taught myself to knit and I don’t know a lot of the terminology, so bear with me! But if I can make this simple project, so can you! -Yarn. I just used Red Heart yarn because it was cheap and what my local craft store carries. 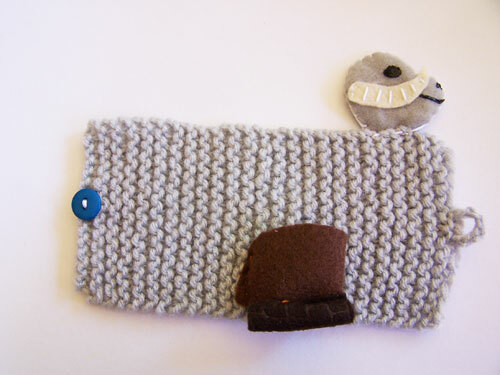 I used grey for the tauntaun and a brownish color for Chewie. 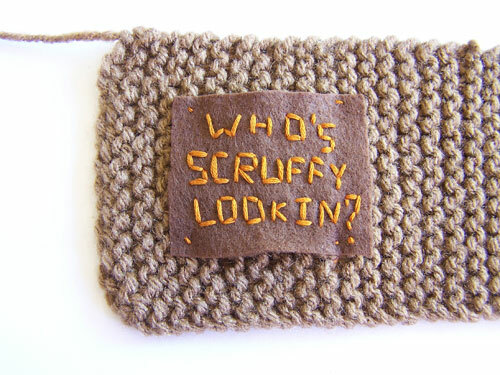 You might want to pick a darker brown for Chewie, or use something that has some extra fuzz to it for more of a wookie effect. –Embroidery Thread – I have this pack that I’ve been using for all my projects. 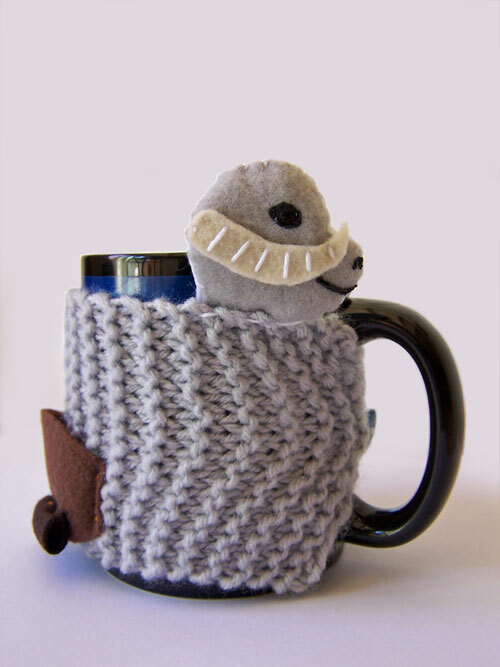 Let’s start with the tauntaun mug…perfect for keeping your coffee or tea Luke-warm! 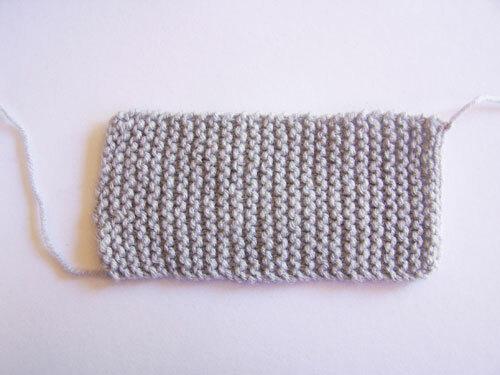 Take some grey yarn. Cast on 15 stitches. 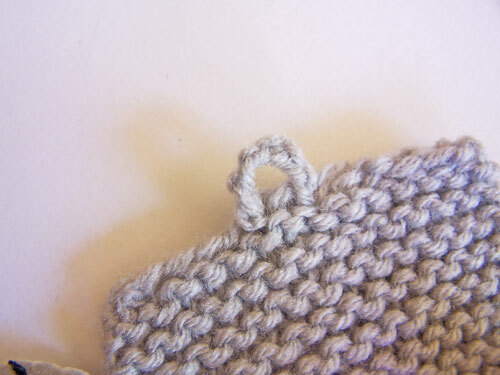 Knit until your cozy is long enough to fit around your cup or mug – this part is important! When I made mine, I should have made them slightly longer because they fit a little too snug for my liking. Once you get it as long as is good to wrap around your mug, cast off. Cut out a tauntaun shaped head, and add the eyes, nose, and mouth with some black fabric paint. 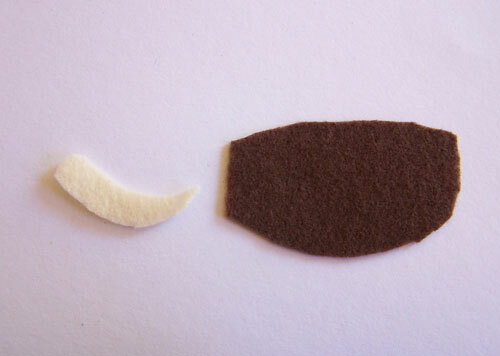 Cut out a saddle shape from your brown felt, and a small horn from your white felt. Stitch or glue the tauntaun’s horn onto the face. 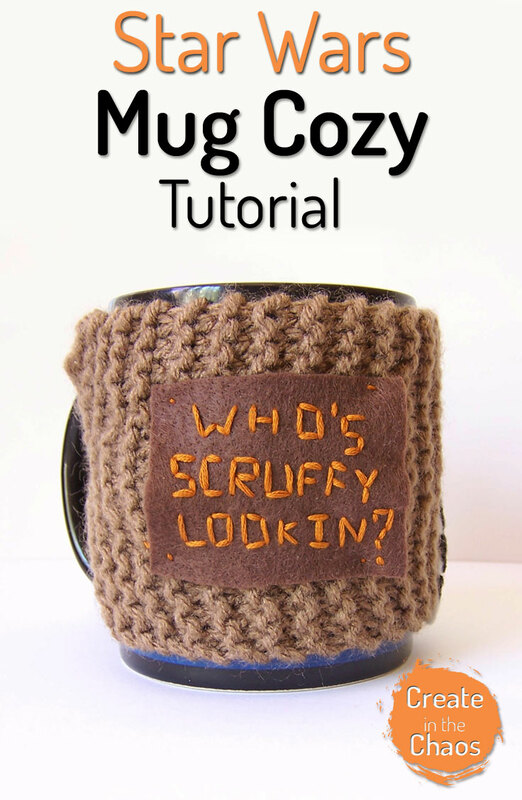 Attach the face onto one side of your mug cozy. 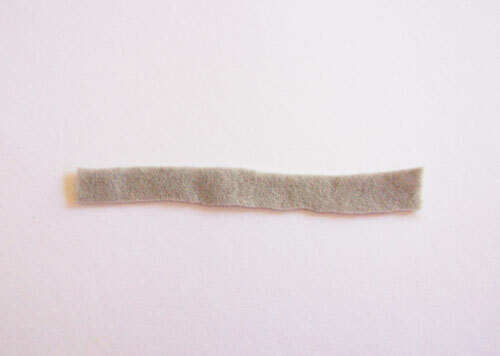 I ended up using some dark brown felt to add a roll onto the saddle to make it more interest. Attach your saddle onto the cozy. 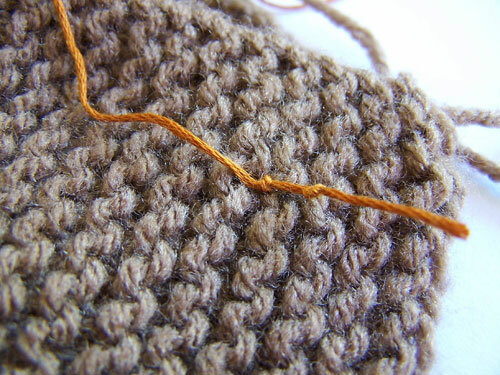 Make sure to leave from for the yarn to stretch – puff up your saddle like I’ve done below. 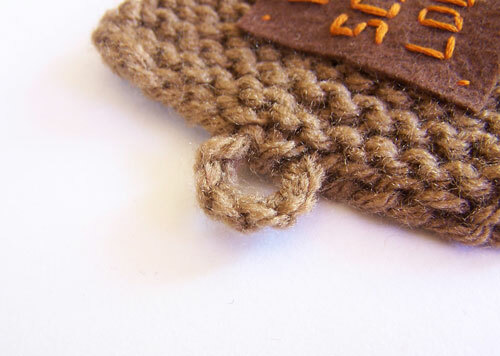 …and a small button onto the other. And there is our completed tauntaun. Test him out to make sure he fits well on your mug. Now lets move on to Chewie. 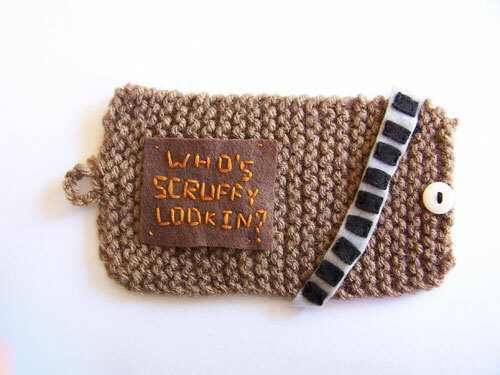 A small disclaimer…yes, I know this quote is said by Han about Leia calling him scruffy looking. But I thought it was just too perfect to have on a mug that someone might be drinking coffee out of early in the morning. 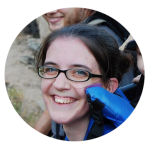 There are lots of cute variations you could do – “It’s not wise to upset me before I’ve had coffee,” etc. 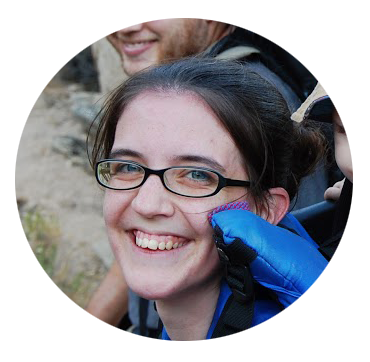 So…onto the mug! 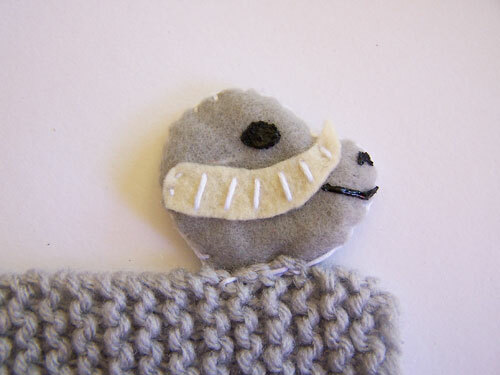 We’re going to knit the exact same way as we did the tauntaun cozy. Cast on 15 stitches. 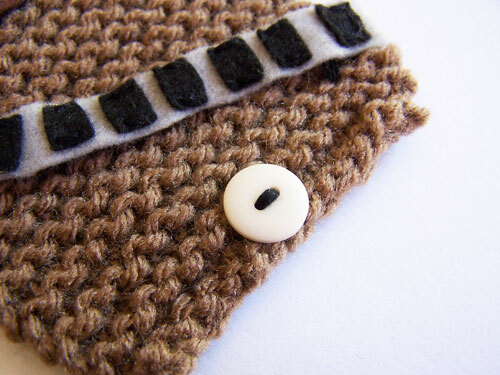 And knit until it’s long enough to wrap around your mug or cup. 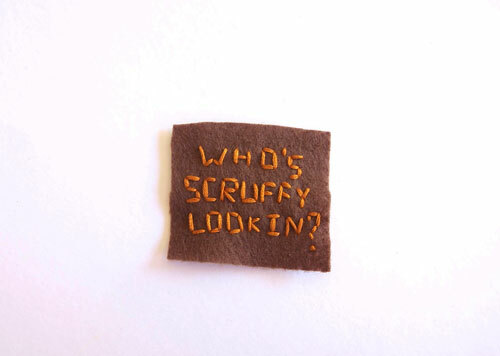 Embroider, or use fabric paint, your quote for the cozy. 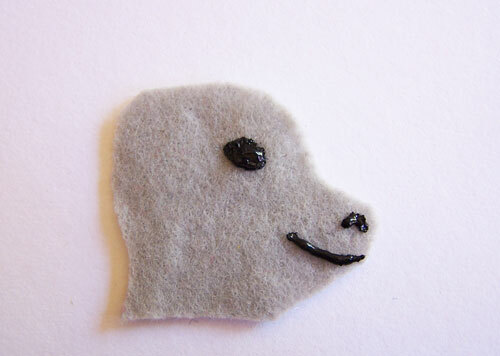 Attach the felt to your cozy. Again, make sure to leave room for your cozy to stretch. 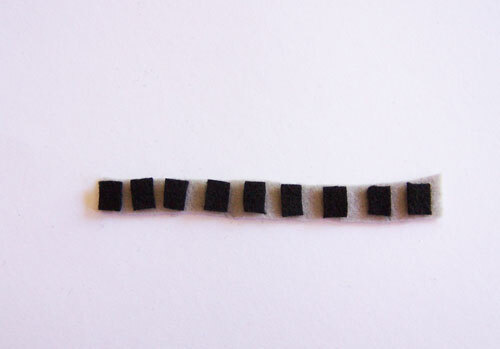 Stitch or glue on black squares along the felt. You could also use puffy black fabric paint if you wish. 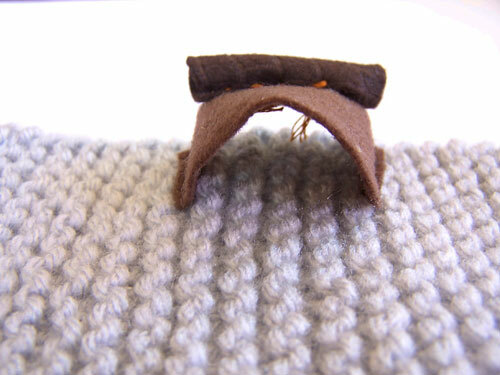 Attach it loosely to your cozy by each end of the grey felt. 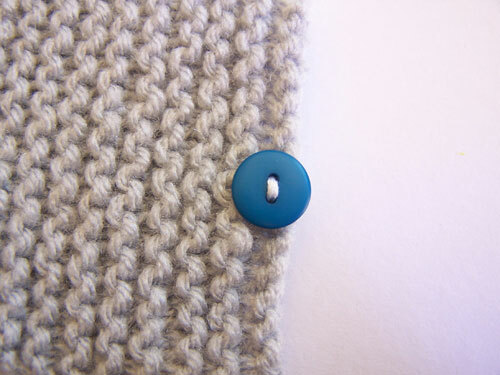 And a button at the other. Which one is your favorite – the tauntaun or Chewie? Pin your favorite to Pinterest.